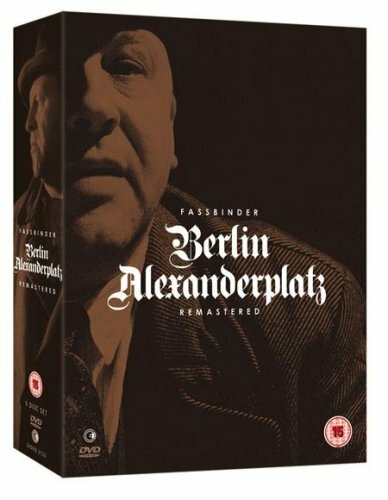 TV drama series directed by renowned German director Rainer Werner Fassbinder, adapted from an Alfred Döblin novel. The series was basically a 15 hour narrative by one man - Franz Bierkopf. Bierkopf is a compelling character - good natured, soft, tender and equally hard, violent and brutal when required. Fresh out of prison in 1920s Germany after a four stretch for doing away with his girlfriend, he's working at making a new start and going straight. He meets Reinhold, a magnetic yet dangerous and halfwitted low-rent burglar and falls under his spell. Very soon any hope Bierkopf had of going straight, goes straight out of the window. TV drama series directed by renowned German director Rainer Werner Fassbinder, adapted from an Alfred Döblin novel. The series was basically a 15 hour narrative by one man - Franz Bierkopf. Bierkopf is a compelling character - good natured, soft, tender and equally hard, violent and brutal when required. Fresh out of prison in 1920s Germany after a four stretch for doing away with his girlfriend, he's working at making a new start and going straight. He meets Reinhold, a magnetic yet dangerous and halfwitted low-rent burglar and falls under his spell. Very soon any hope Bierkopf had of going straight, goes straight out of the window.